Did they? Didn't they? Let the tongues wag. 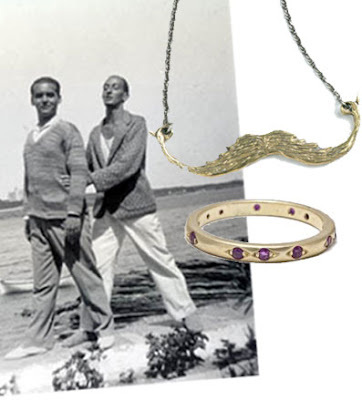 For Federico, a necklace vaguely in the form of Salvador's moustache, and for Salvador, a ruby ring in honor of Garcia Lorca's Blood Wedding. Far be it for us to suggest a bauble for Mrs. White Diamonds herself. Rather, the decanter set from Love & Victory, makes for neat drinking, and easy glass hurling. Léon's muse, and unrequited love, played his namesake instrument, with grace, drama, and a perfect chignon of pitch black hair. Of making otherworldy music rise from a brass box outfitted with a rod and a ring she said, “You have to play with butterfly wings." Love is true, love is trouble. She was pint-sized, he was not. She was a painter, he was a painter. 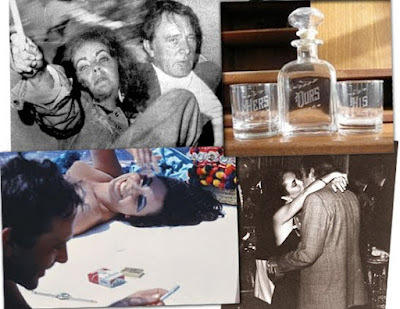 He loved ladies, she loved ladies. Twice-married, they brawled, battled, left and came together again in a blue house in Coyoacán. You sweethearts! 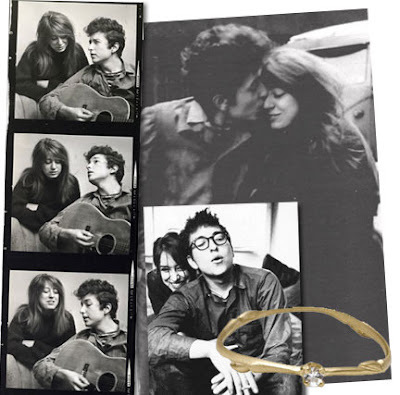 You young romantics! You read Rimbaud in the park, and rambled round the streets of Greenwich village. The world was your oyster. me too. i die too. I may die along with you. love this. 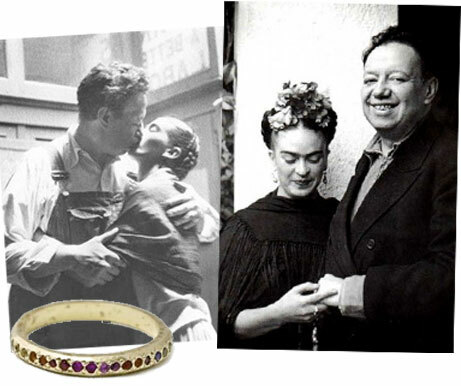 and love that ruby ring. i am with the others. You ladies have succeeded in writing a post about engagement/wedding rings that I actually enjoyed! Congratulations, this is so effin awesome. I can think of nothing that could make me love this post more. Jewelery with a story. 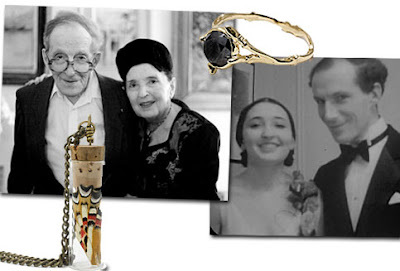 Jewelery that evokes something more than bling. I spent a good hour on catbird yesterday after this post. Love this post and love that store.